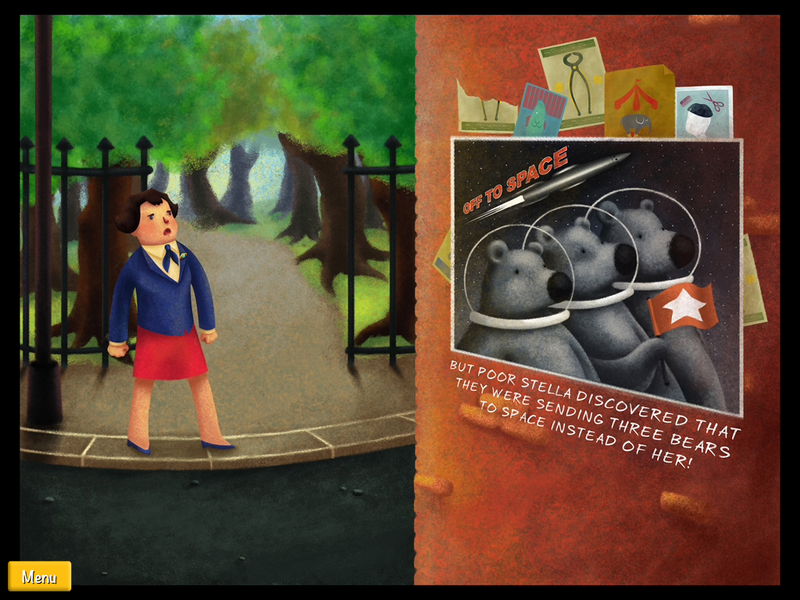 Stella and the Space Bears ebook for kids. Because we can never resist a wonderfully geeky heroine. As much as I love fun, educational apps for kids, I might get even more excited about finding great books to add to our family iPad. Especially original stories without any licensed characters trying to sell me on a cartoon to match a doll to match a fast food free-with-purchase toy. And Stella and the Space Bears fits the bill perfectly. Charmingly written and illustrated by Dilara Arin–a former animator who adores bears, of course– Stella and the Space Bears features an aspiring cosmonaut who trains for a space mission only to be replaced by a trio of bears. But when it appears that the bears are just fooling around in the space station, Stella is sent in to get the situation under control. In fact, Stella discovers that she and the bears make a pretty good team. While the story takes some creative license with science, it’s still really entertaining for the preschool set, and I love the coloring pages right there in the app (no printing required, yay!). Plus I’m always a sucker for a narrator with a British accent and a heroine with great big geeky goals. 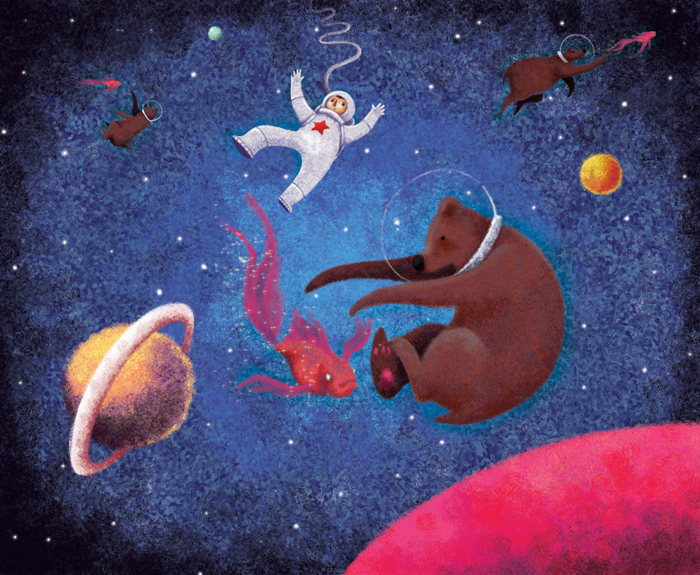 Find the Stella and the Space Bears ebook for kids on iTunes for $4.99. Requires iOS 7.0.